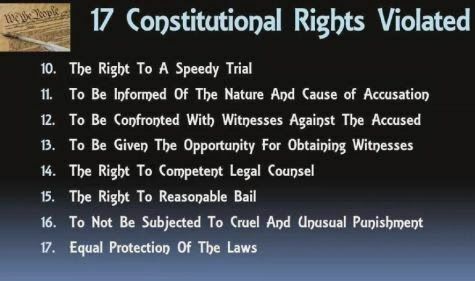 The below letter was sent to Ken Burke, Pinellas County Court Clerk requesting time to procure competent legal defense counsel. 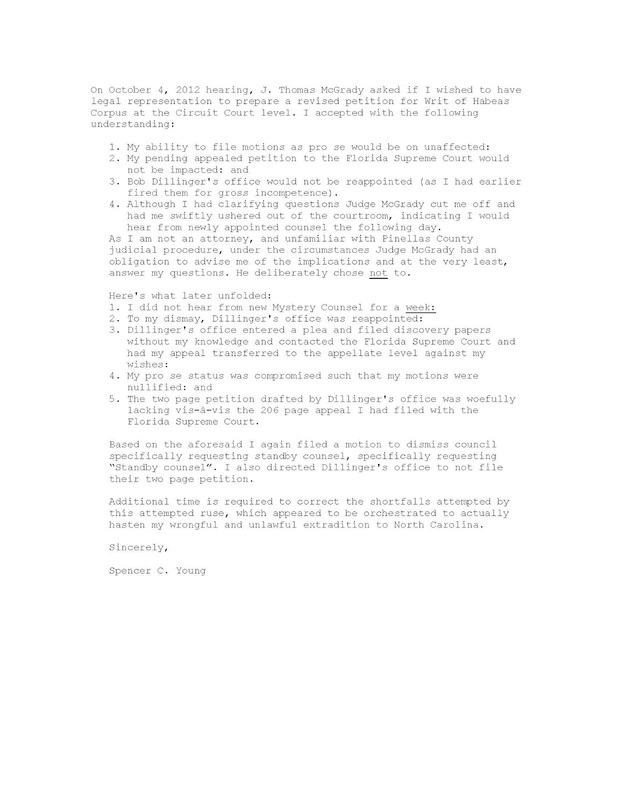 As part of the orchestrated railroading of was clearly a fraud-based extradition from Florida to North Carolina, Spencer C. Young was effectively denied legal representation. 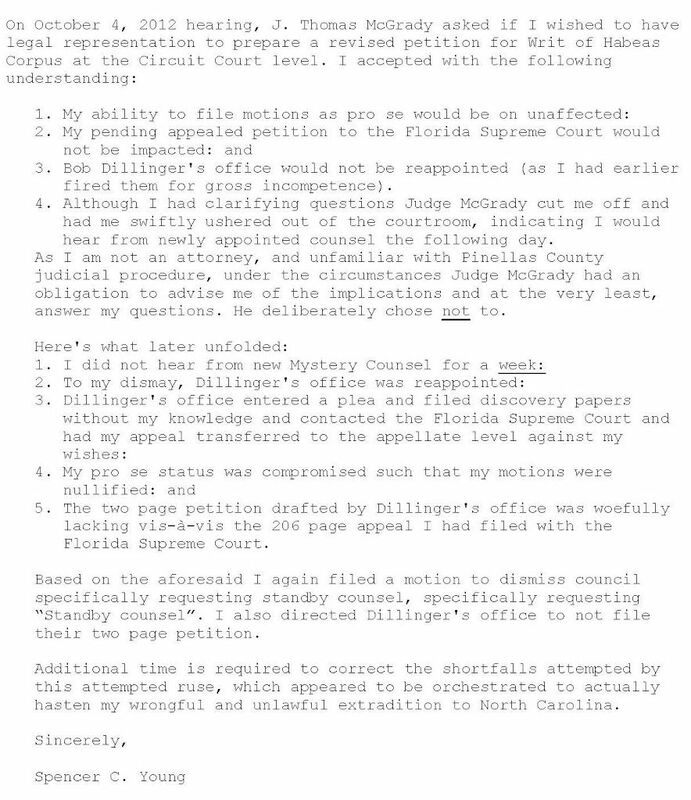 As detailed in the below letter, as it was clear the Pinellas County Public Defender's Office, headed by Bob Dillinger was complicit in this ruse by taking actions to deny Mr. Young legal due process, while the woefully corrupt Judge J. Thomas McGrady played an instrumental role in trampling on SEVENTEEN Constitutional Rights of Mr. Young (summarized below). Mr. Burke responded as he has always done . 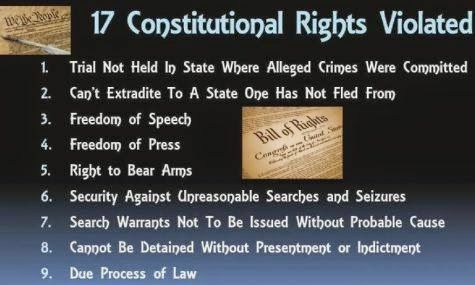 . . he simply ignored it with full cognition that Mr. Young's civil rights were being egregiously abused. 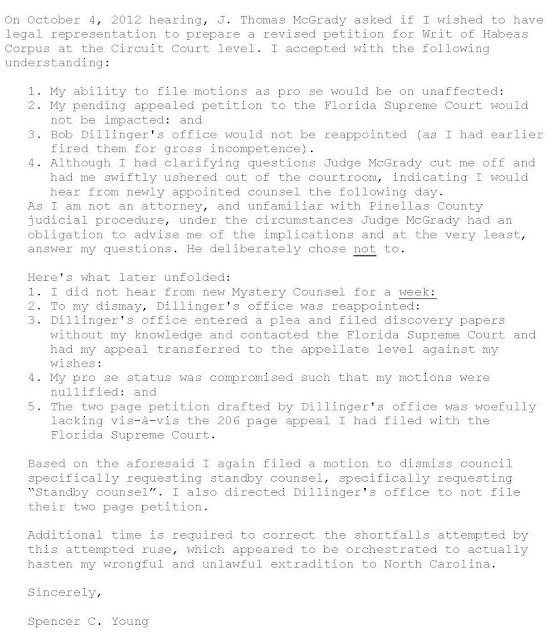 This letter was transcribed to, typed by, and uploaded by a private investigator Mr. Young had engaged during his unlawful incarceration on patently false charges that were literally made up out of thin air, and dismissed as meritless . . . but not until he had been traumatized by his 127 days in maximum security jail with the most violent of felons.